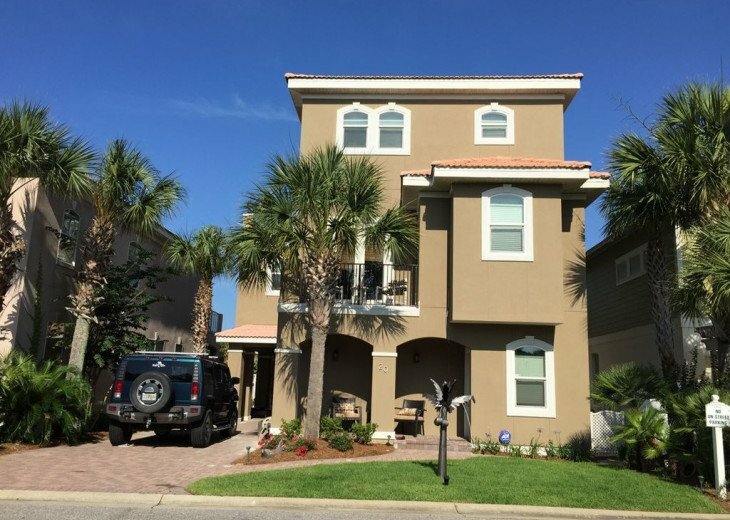 Absolutely one of the best rental values you will find! 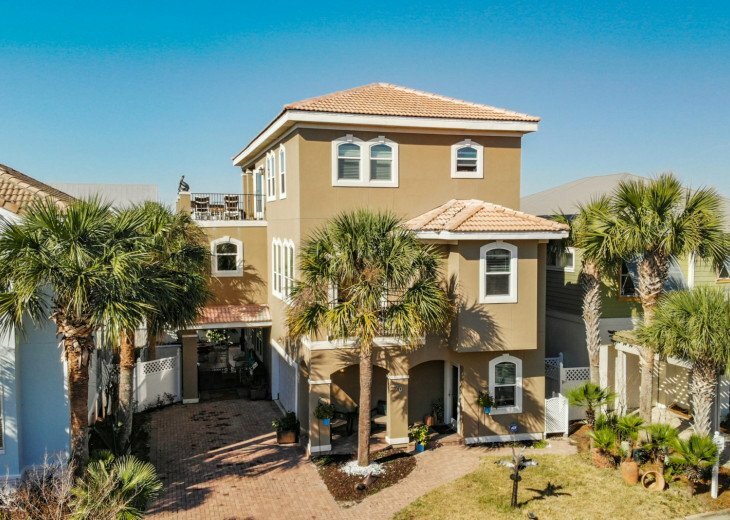 This beautiful 3,500 sf 3-story home is located in Miramar Beach, in the much sought after Emerald Waters Village, a gated community. 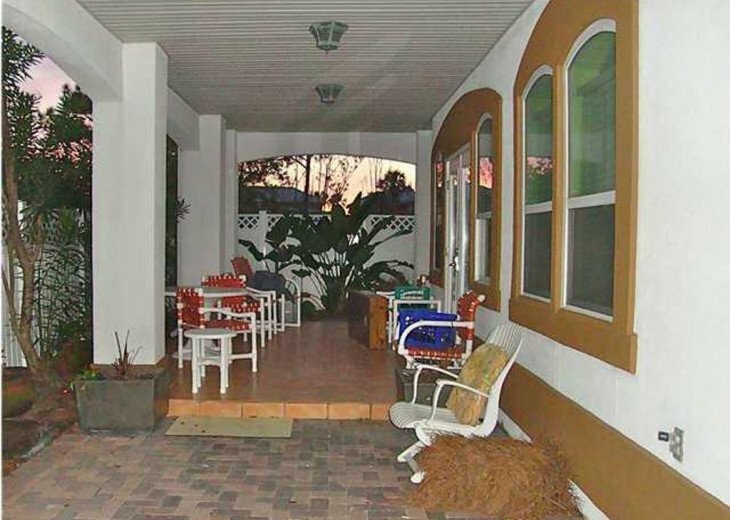 The home is just a half block or a 5-minute stroll to a gated, private beach entrance. The house offers plenty of space to enjoy company or some separate quiet time. The massive decks on all floors are unsurpassed. One of the largest, top floor, 180-degree decks in the area, will have you enjoying the incredible views of the ocean, twice weekly fireworks displays to incredible sunsets/sunrises. The views cannot be beaten. 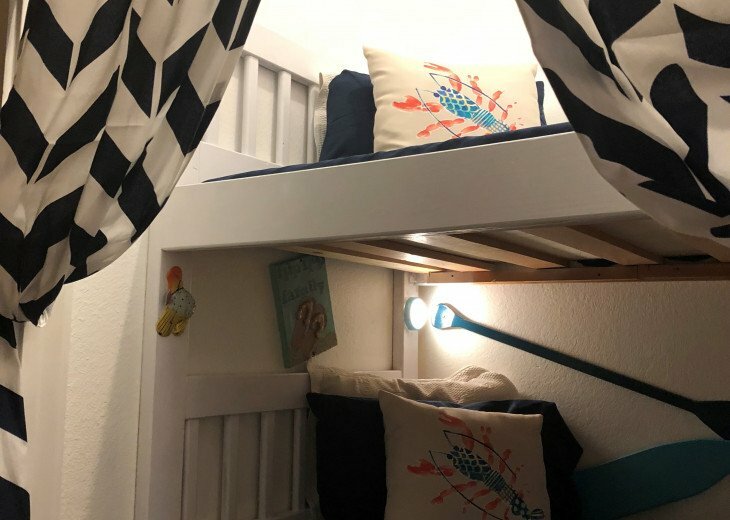 The 1st-floor "lockout" apt is a 1/1, w full kitchen, living room, large bedroom, a kids bunk-bed room, a private shower, and full-size laundry room. 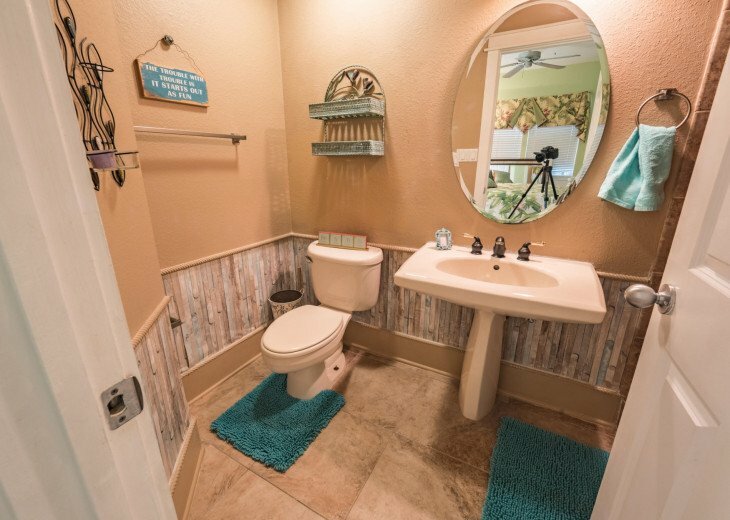 The unit has its own private entrance from the outside carport and covered patio, as well as access to the upstairs from the inside. Just outside the entrance are a seating area, an informal outdoor, dining table, lounge chairs for sunbathing and gas BBQ grill. There is a small backyard for your dogs to enjoy. If you chose to rent the entire home. *Note! When owner is in residence this apartment is not available. The 2nd-floor is the main living area. 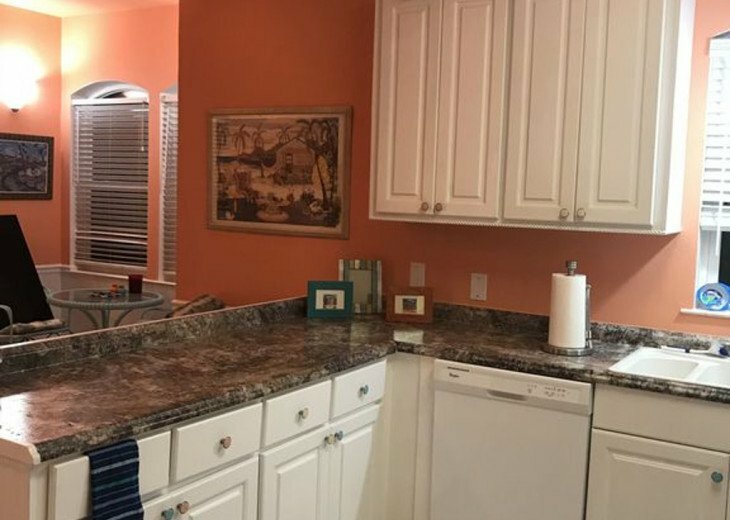 With a very well equipped kitchen stocked with enough utensils to create a feast, holiday meals or host a party with service up to 24 people, huge dining room, and serving area, & 2 bedrooms. We also have a high-speed ice machine that produces plenty of ice to keep up with your guests and/or fill those ice chests for your outings. 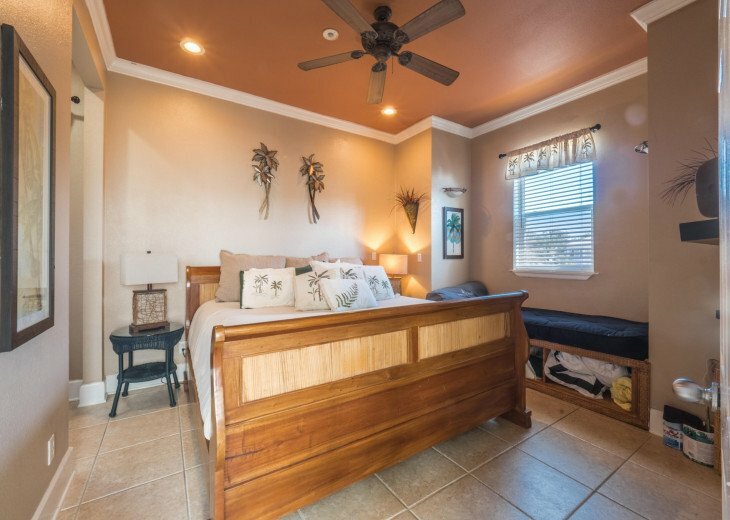 The master bedroom has a king size bed, a window seat/youth bed, a large closet and also features a luxury 3-head, executive shower to pamper yourselves with. 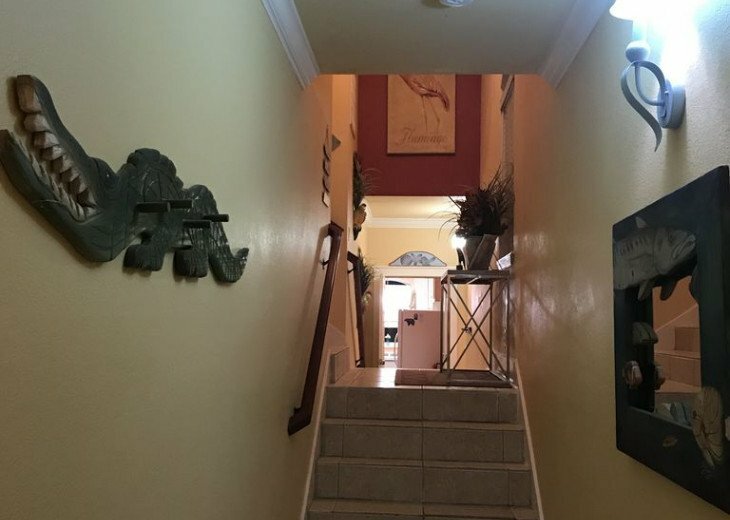 On the opposite side of the 2nd floor, there is a guest room with a queen size bed, a window seat/youth bed and full bathroom with shower (accessed both from the bedroom and living room.) 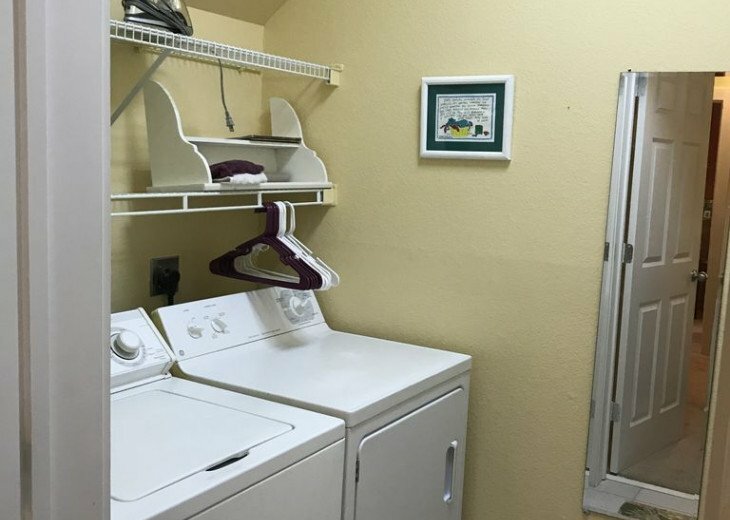 Just down the hall is a laundry area with an over-sized washer and dryer. 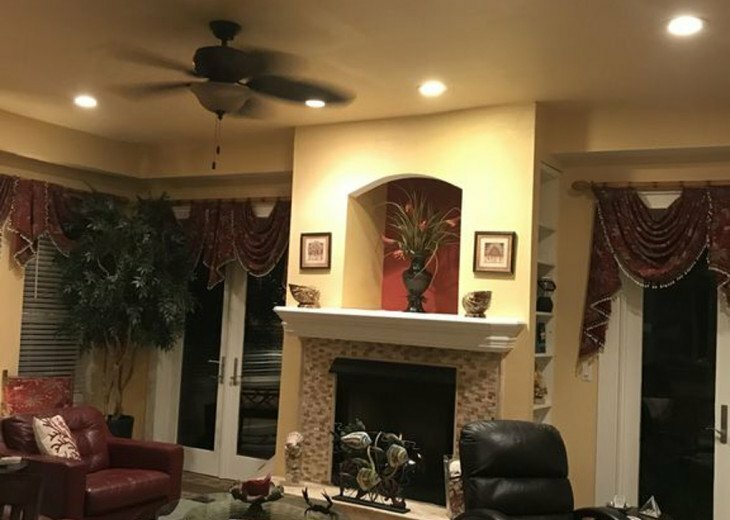 The formal living room with a natural gas fireplace is ideal for family get-togethers, football night or lounging by the fire with a book. Two full floor to ceiling shelves are packed with books, puzzles and games for the rare times there might be inclement weather or simply you’re wanting to have a ‘lazy day”. All bedrooms and living areas have TV’s and DVD players and a library of blockbuster and children s movies can be found on the 2nd-floor living room shelves and in the end-tables in the living area on the 3rd floor. 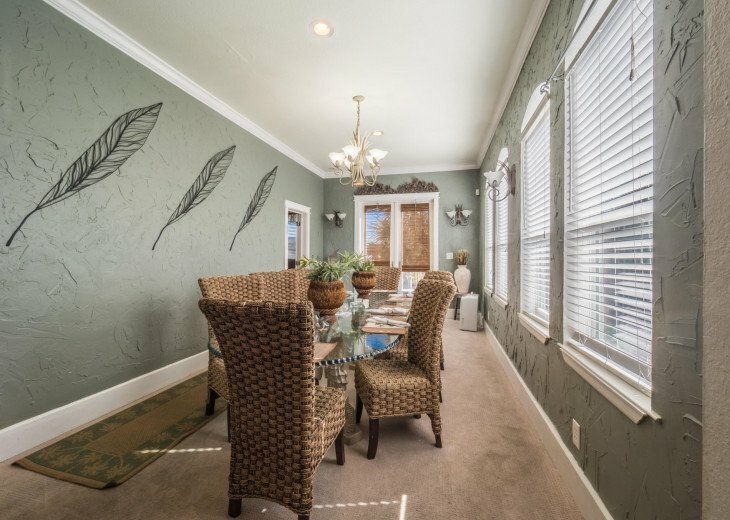 Also on the 2nd floor is the formal dining room. The dining area has a beautiful 11-foot glass dining table will seat 8-10 people. 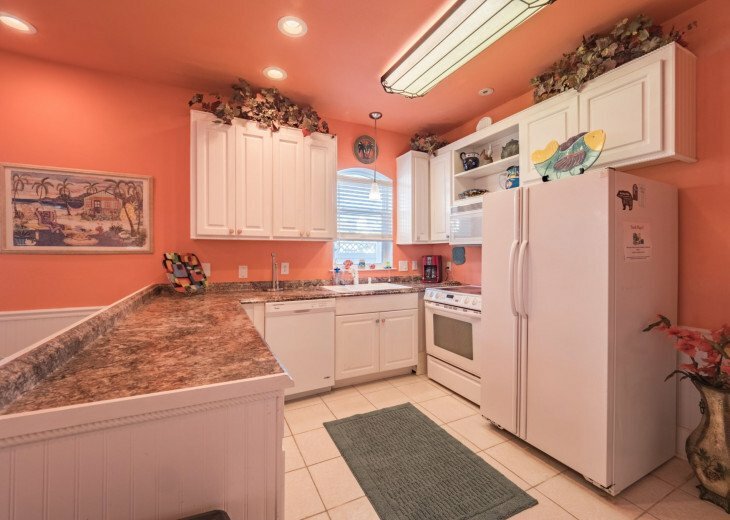 The adjoining kitchen will also seat 5 people around the kitchen bar (or serve as the "kid area".) 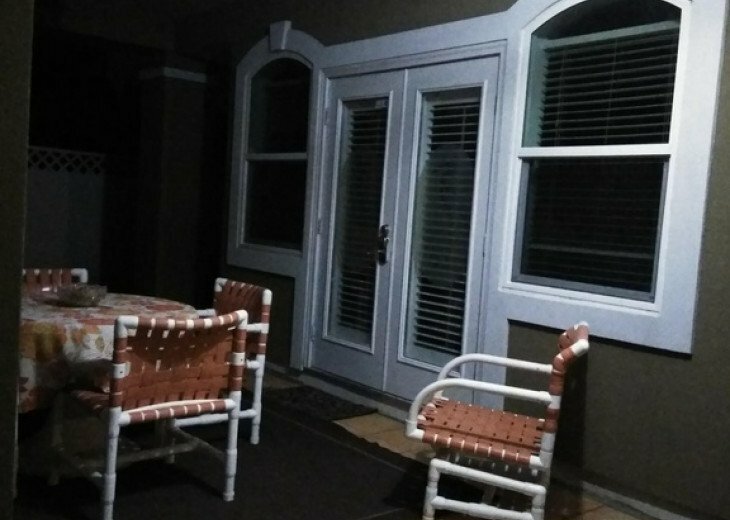 Both the living and dining rooms have decks leading outside, (front and rear, opposite each other) for nights you might want to let the warm beach breezes inside. Enjoy the 3rd-floor game room with a pool table, Marshall Bluetooth speakers, bar and mini fridge. 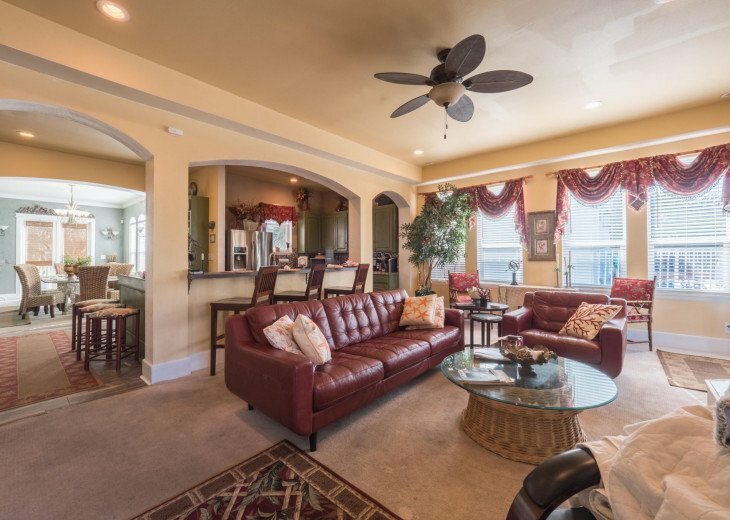 It features a separate TV sitting area/guest room with queen sleeper sofa and chaise lounge. 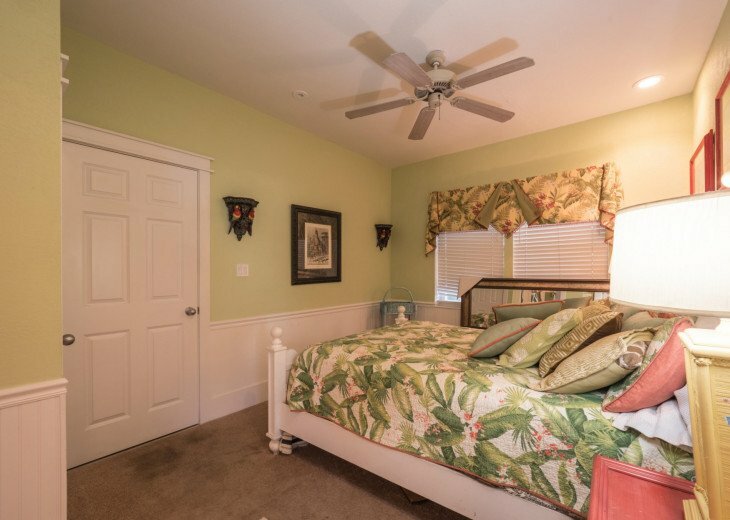 The 3rd floor also features a second master bedroom, with a king size bed, full bath with bathtub/shower combo. The massive 3rd-floor deck is one of the largest in the area (180° views) and features a large gas grill, seating areas, fire pit and lounge chairs for sunbathing. We are a pet-friendly property. We also try to accommodate smokers with covered decks, with seating on each floor (and outside each bedroom for that matter!) Each area has receptacles to extinguish cigars/cigarettes. We ask that all smoking be kept to these areas to be considerate of our non-smoking guests that cannot tolerate cigarette smoke as well as protect our property. We provide beach chairs, rolling coolers, small ice chests, umbrellas, fishing poles, numerous types of beach toys, sandbag/corn-hole game and a beach wagon for easy transportation to the beach are available for your use. (Past generous guests have left misc. items such as boogie boards, etc. you never know what you will find in our carport storage area!) We also have a high chair, portable crib, and stroller available, located on the second floor in both closets. 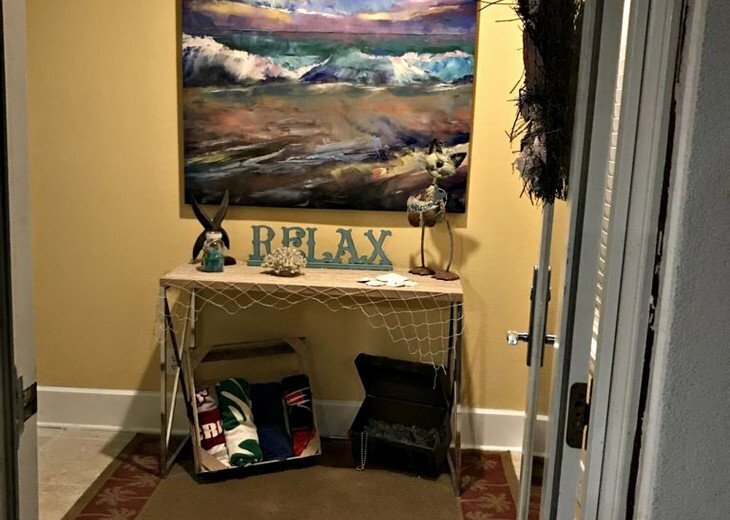 We do provide extra linens, pillows, beach towels, beach toys and queen size, self-inflating air mattresses for your use, if needed, located on the 3rd floor.. Wi-Fi throughout the house. 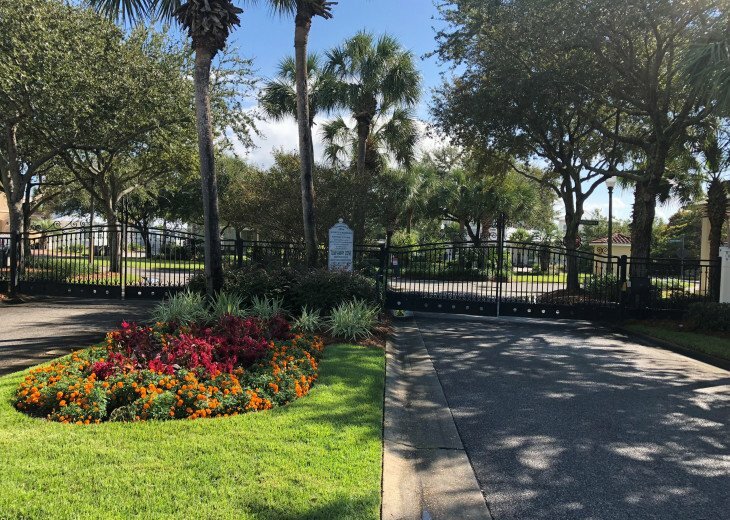 The home is in a private gated community. One of the two community pools is right across the street just 100 feet from the front door. 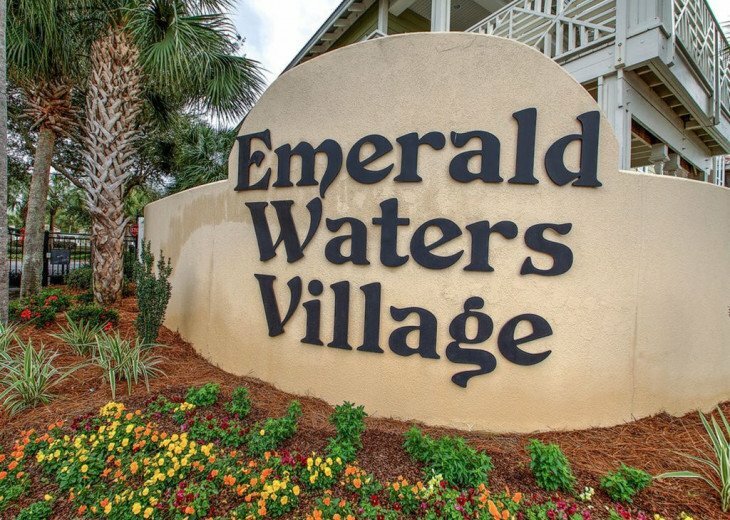 Florida largest outlet mall is two miles away and several golf courses are close by. 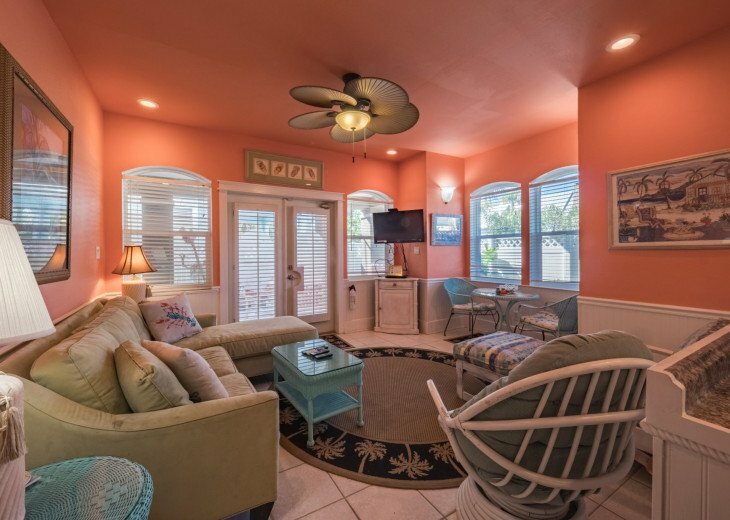 It is located right in the heart of the panhandle beaches with excellent dining and is the ideal place to relax, enjoy, and treat yourself to a memorable vacation. From the large living room areas that can host a large get-together to the over 1,500 sq. ft. of balconies, make this a fantastic choice for couples, families and friends alike. 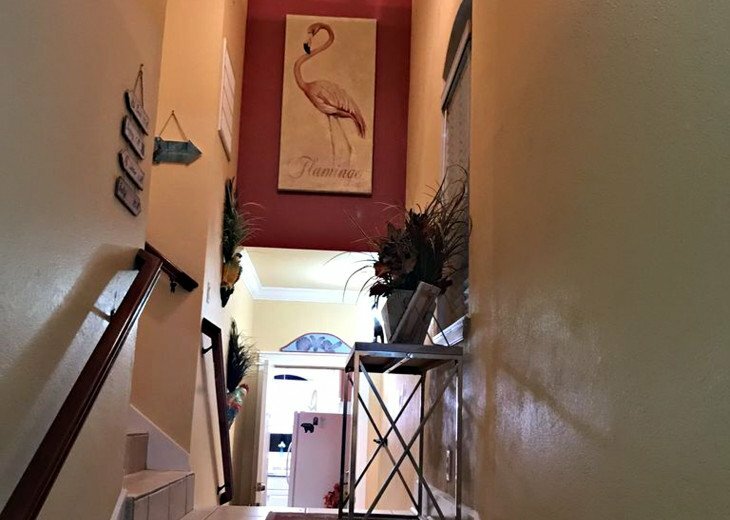 The viewing/party/sunning 3rd-floor panoramic decks where you can see the Gulf of Mexico and have a birds eye view of the surrounding beach and city areas will have you returning again and again to “Gone Coastal” Come join us for a vacation and memorable time of relaxation and fun!